Looking for deals in Innsbruck? Set in Lans, 1.2 mi from Innsbruck, Gasthof Walzl offers rooms with hardwood floors, flat-screen satellite TVs, and work desks. It features a spa area with a hot tub and steam bath. Impeccable service. Pick up at airport. Drop off at train station. A most delicious dinner with food grown in surrounding farms. The family-run Hotel Maximilian is located in the heart of Innsbruck’s Old Town, next to a pedestrian zone, offering air-conditioned rooms and free WiFi. Good location, attention to detail.clean and bright. A 10-minute tram ride from Innsbruck’s Old Town, Hotel Kapeller offers modern rooms furnished in pastel colors. It also offers free Wi-Fi, free on-site private parking and a rich buffet breakfast. I must start by thanking all the staff at the hotel. Throughout the entire holiday they were exceptional! They were extremely helpful, even before we had even set foot in Austria. When we got there, they provided us with all the information we needed and were always keen to cater for our needs. The room was very comfortable, had all the things one would need and was always kept exceptionally clean. 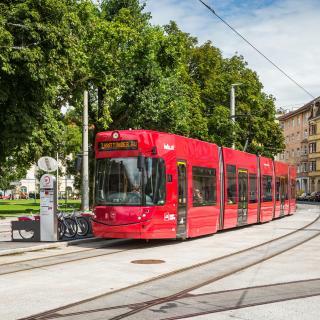 The location of the hotel is about 10 minutes by tram to the city center, with a station about 2 minute walk away. I would definitely recommend anyone who is visiting Innsbruck to consider staying at this hotel. Renovated in October 2016, Hotel Zach enjoys a quiet location in a side street, just a 5-minute walk from Innsbruck’s Old Town and the Main Train Station. Free WiFi is available. The breakfast was the best: smoke salmon (maybe it was weekend); fruit platter; excellent coffee. All the staff were pleasant and helpful. Excellent location as commented by previous reviewers. Centrally located in the pedestrian area in the historic heart of Innsbruck, only 328 feet from the Golden Roof, this traditional, family-run hotel has welcomed guests since 1465. The bed was so comfortable. The bedding was clouds. The breakfast was delicious. Family-run for nearly 500 years, the Dollinger is set at the foot of the Nordkette Mountains in the northern part of Innsbruck. The hotel was very clean, in a good location, and comfortable. Strongly recommend it. This 4-star hotel in the center of Innsbruck, directly opposite the Kaufhaus Tyrol department store, offers free use of its small spa area featuring a sauna, infrared cabins, a steam bath, and a... The bed was very comfortable and the shower worked well. The secure parking was good. The Hotel Grauer Bär is in the center of the city of Innsbruck, just a 2-minute walk from the historic Old Town. Our fourth time staying here. Always pleased with everything about it. Only 5 mi away from Innsbruck and combining modern facilities with a traditional style, the Hotel Römerhof enjoys a quiet location between woods and meadows, 262 feet from the Patscherkofel Cable Car... The hotel was in a beautiful area of Innsbruck. Only a 5-minute walk from Innsbruck’s Old Town and the Golden Roof, Hotel Engl is located in the quiet district of St. Nikolaus. Hotel Engl is a very nice place in a very beautiful place in God's green Earth. A 15-minute walk from Innsbruck’s old town, the Heimgartl is located right by the Inn River. The Nordkettenbahn cable car can be reached in a 5-minute walk. Free Wi-Fi and free parking are provided. Nice place to stay for a night. We had a room with a big window, it was very beautiful. Set 328 feet from the Ambras Castle Gardens, family-run Hotel Charlotte is located in the quiet southern part of Innsbruck. It offers free parking and a rich breakfast buffet. This is a great location for visiting Innsbruck. In a protected historic building in a classic Alpine style dating from 1400, the family-run Gasthof zum Schupfen is only a 10-minute drive from the center of Innsbruck. View from room on 2nd floor very nice. Restaurant food excellent. 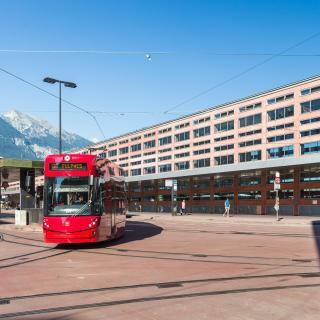 Just a 15-minute walk from the Old Town of Innsbruck and the Main Train Station, Hotel Altpradl offers free WiFi and free private parking (subject to availability). Super clean and cozy rooms, loved the bed. Located in the city center, but on the quiet street. Located 325 ft from the Goldenes Dachl, the non-smoking Goldener Adler Hotel can be found right in the heart of Innsbruck. It features free internet and free Sky satellite TV in all rooms. Wonderful location, friendly delightful staff and just fabulous..
Set in Lans, 1.2 mi from Innsbruck, Gasthof Walzl offers rooms with hardwood floors, flat-screen satellite TVs, and work desks. It features a spa area with a hot tub and steam bath. Impeccable service. Pick up at airport. Drop off at train station. Right on the Inn River, the traditional Hotel Mondschein is just across the bridge from the Old Town of Innsbruck. Free WiFi is provided. Location. And confortable room. Only 3.1 mi from Innsbruck, this 4-star hotel enjoys an beautiful yet central location and offers a wonderful panoramic view of the Inn Valley. Free WiFi is available at the Hotel Seppl Familie & Spa.... Breakfast and dinner were delicious! Staff was very helpful and caring. Only a 5-minute walk away from the Old Town, the AC Hotel offers panoramic views of the Tyrolean Alps and an AC Lounge. The Casino Innsbruck is adjacent to the hotel. Clean, View from the rooms, Internet TV, Staff and location. What are the best hotels in Innsbruck near Golden Roof? Some of the best hotels in Innsbruck near Golden Roof include Apartments Golden Roof by Penz, STAGE 12 and Hotel Maximilian - Stadthaus Penz. How much does it cost to stay in a hotel in Innsbruck? On average, 3-star hotels in Innsbruck cost $137 per night, and 4-star hotels in Innsbruck are $182 per night. If you're looking for something really special, a 5-star hotel in Innsbruck can be found for $208 per night, on average (based on Booking.com prices). 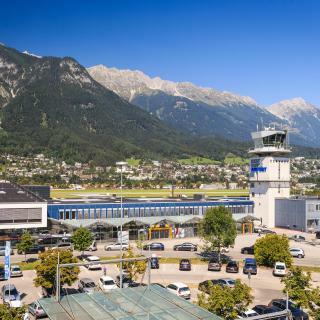 What are the best hotels in Innsbruck near Kranebitten Airport? Travelers who stayed in Innsbruck near Kranebitten Airport (INN) have said good things about Hotel Penz West, Sommerhotel Karwendel, and The Art & Sport Hotel. Which hotels in Innsbruck are good for couples? These hotels in Innsbruck are highly rated by couples: Nala Individuellhotel, Hotel Maximilian - Stadthaus Penz, and STAGE 12. Which hotels in Innsbruck offer an especially good breakfast? For hotels in Innsbruck that serve highly-rated breakfasts, try Hotel Maximilian - Stadthaus Penz, Hotel Garni Römerhof, and Hotel dasMEI. Which hotels are the best ones to stay at in Innsbruck? STAGE 12, Nala Individuellhotel, and Hotel Maximilian - Stadthaus Penz are some of the popular hotels in Innsbruck. Which hotels in Innsbruck are good for families? Many families visiting Innsbruck loved staying at Isserwirt, Faktorei, and BEST WESTERN Plus Hotel Goldener Adler Innsbruck. 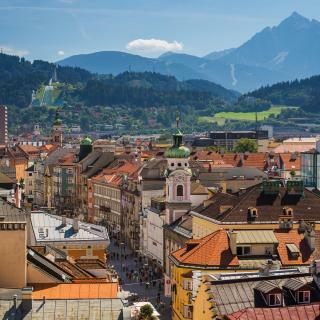 Which neighborhood is the best one to stay at in Innsbruck? Wilten, Pradl, and Reichenau are popular with other travelers visiting Innsbruck. Which hotels in Innsbruck have nice views? aDLERS Hotel Innsbruck, Hotel Huberhof, and Isserwirt got great room view-related reviews from travelers in Innsbruck. How much is a hotel in Innsbruck for tonight? On average, it costs $132 per night to book a 3-star hotel in Innsbruck for tonight. You'll pay around $224 if you choose to stay in a 4-star hotel tonight, while a 5-star hotel in Innsbruck will cost around $235, on average (based on Booking.com prices). 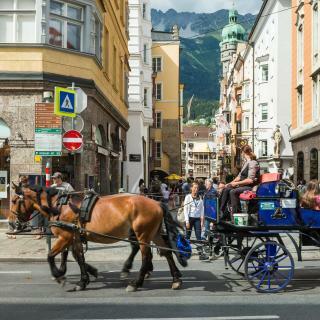 Set against the spectacular backdrop of the Alps, Innsbruck is not only a world-class European ski resort, it was also the seat of Maximilian I’s Holy Roman Empire. This imperial legacy has left its mark, most notably in the Old Town where beautiful Rococo buildings sit beside pastel facades and typically Tyrolean, flower-adorned windows. The visitable Hofburg imperial court owes its modern appearance to the 18th-century Empress Maria Theresia. The Hofkirche has a memorial tomb for Maximilian I, and his life is depicted in frescoes on the Goldenes Dachl (Golden Roof) nearby, named after the gleaming copper tiles lining its entrance. 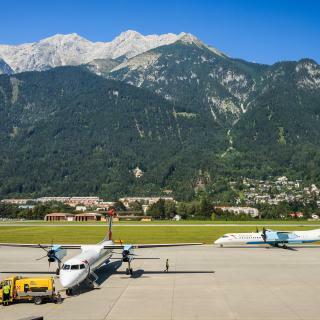 Flying into Innsbruck Airport, it’s easy to see why the city was so highly regarded. Practically every street ends with a view of the Alps, lush in summer, snowy white in winter. Nestled on a slope, Schloss Ambras was once the residence of Archduke Ferdinand II, and the area provides opportunities for summer mountain climbing, hiking and golf. In the winter, of course, it’s all about the fantastic Innsbruck skiing and snowboarding. Ski areas include Nordkette mountain, accessible by cable car and chairlifts near the town’s hotels and B&Bs on Booking.com. Its varied slopes mean that several international competitions are held here, as well as the Bergiselschanze ski jump contest. The après-ski is laid-back and centered around chalet-style bars and traditional restaurants. I was really looking forward to visiting this city and was not disappointed in any way! It's clean and beautiful with incredible scenery. The funicular to Hungerburg and the Nordkette and Seegrube cable cars are terrific experiences. The Alpine Zoo near Hungerburg was disappointing in the scarcity of animals, the lack of variety of species and the layout was a bit scattered. Not really worth stopping there. We stayed at the Hotel Huberhof in Rum - amazing traditional but modernised hotel where the owners run it and make everyone so welcome. It's worth the bus trip to Rum to stay here! We also did a day trip from Innsbruck to the Zuggspitze in Germany - huge mountain known as "the Top of Germany! Only spent one night and day here on a stop over to our final distination of Garmisch. Not knowing anything of location in the city, we chose a hotel that was a bit of a hike from the train station (thats ok tho, we needed the exercise). We stayed right on the river, which we could hear from our room once we opened the windows at night. We walked into old town and immediatly fell in love with it. The shopping, the history, the architecture. Perfect. Shopping was good, lots of passages and nice alleys to have a look, besides that a few very good restaurants, for lunch Da Leonardo, and for Dinner Sitzwohl and Bistro Gourmand, Also the Hotel, has a good restaurant! !Even if you want to go for a sky.. its a good location. Thanks to the hotel we had, the pedestrian zone in the city center was just next door. 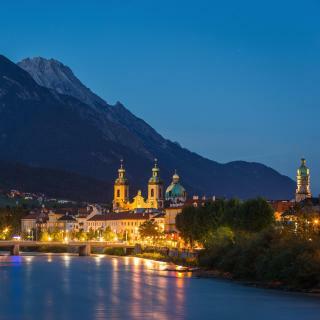 Innsbruck is quite little city, one needs 2-3 days to see the most attractions and enjoy local specialities. Despite this, I would recommend Innabruck to everyone eho is looking for weekend getaway. The AC Marriot Hotel was beautiful and perfectly located in the city centre just a short walk from the old town. It made the stay in Innsbruck very enjoyable as the facilities were all amazing and the staff were fantastic. We had the joy of staying in a mountain view room which was breathtaking and I highly recommend doing so. The restaurant in the hotel was also great with delicious food for breakfast and dinner. We really loved the apartment. It was in a perfect location, with a great view of the river and the old town. Gerhard and Barbara made sure the apartment had everything you need to feel at home, but with special things like chocolates and wine to make you feel like you were in a lovely hotel. The place was very clean. There were bikes available to ride. We highly recommend Appartement Innsbruck. A great location just over the bridge from the Old Town, but still within an easy walking distance of most things. A clean and bright hotel with comfortable rooms, many with a river view, some with bay windows. There’s a 24-hour tea/coffee station next to the breakfast room - a great breakfast offering too, lots of choice. Wouldn’t hesitate to recommend. Austrian traditional place... Not new, but owners were taking care of the place, so you actually will like this old style house. Great breakfast. You will need to wait a bit to get the hot water in the shower, but stay patient and it will come. They have a parking place, wifi, fridge in the room, bus station not far from the hotel to get to the center. Location was reasonably convenient though quite a distance from the old town. Bus 0 has a stop right in front of the property and it will take you to the city center with the Innsbruck card or pay 2.9 euros one way. From the train station you would need to go to the SIDE of Sillpark to catch the 0 bus, not the station in front which was what I did. The rooms are clean. The location is very good. The old town is few hundred meters walk. You can get your ski passes at the hotel as well. Should you need to park a car — the hotel has its own underground parking garage. But you have to book a parking place beforehand. Anyway, there is a large public underground parking near the hotel. Very nice,quiet hotel,ideal for relaxing.If you plan to stay for a while in Innsbruck,its a really good,relatively cheap choice. Room had a great view of the mountain and a small river.Amazing!Clean,cozy,warm room,good wifi.Check in is in another building 20 meters away.No problem with that.Breakfast perfect. We were really impressed by this hotel. Our room was designed with a lot of taste and offered a very individual feel. The breakfast option is fantastic. This hotel clearly offers more than you'd expect for such a price. Don't look further, it's easily the best option in Innsbruck. Excellent location within walking distance of city centre and cable car. Easily reached by bus from the airport (route F). Good breakfast included in price. Large, immaculately clean room with views of the alps. Good value considering how expensive other hotels in Innsbruck were! The room is very clean. The hotel location is very closed to the cable car but unfortunately it’s not operated when i arrived this place. Ahhhhhhhhh! The hotel is located closed to the observatory point where you can walk to see the Innsbruck from top view. It is excellent. Absolutely beautiful hotel in great location right in the old town. Rooms are newly renovated and very comfortable. Best breakfast buffet with a superb selection of exotic fruits. Very warm and helpful staff. I need more than a 10 for this hotel. The best food, the best traditional decoration, the best mattress, the best pillows. And the best location with the view of Innsbruck. The location of hotel is near train station, bus station to the airport and the old town. It is convenient to roam around there and do shopping. Typical German/Austria room..which is fine. The restuarant was GREAT and the Staff was very nice too. Very nice place to stay during our travels through Austria. Excellent breakfast and spacious room. A very comfortable hotel in a prime location in 'Old Town."